From 2011 to 2015, 37,325 people moved here. From which states? If you associate Milwaukee with beer, you certainly aren’t alone, but what about golf? Or motorcycles? It’s true: Milwaukee-area golf courses have hosted PGA and LPGA events, and Harley-Davidson has its headquarters—and a museum—in the city. Perhaps that’s what’s attracting new residents to the area. Although the metro area and the city proper have seen slight population declines recently, nearly 40,000 people moved to the area between 2011 and 2015. Let’s break that down a little. 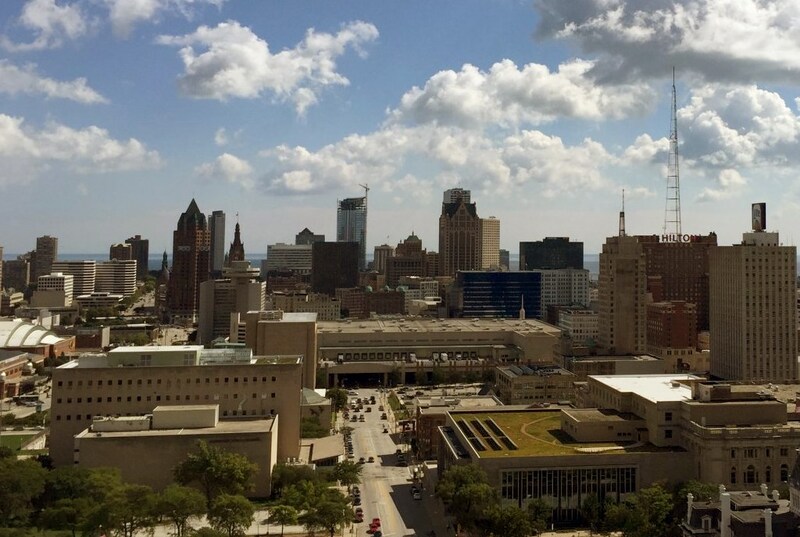 Between July 2015 and July 2016, according to the latest census data, the four-county Milwaukee metro area population declined a hair, from 1,574,349 to 1,572,482, a .12 percent decrease. The population of Milwaukee County, where the city of Milwaukee is located, declined a little more in percentage terms. It went from 956,314 to 941,448 in that time, a .51 percent reduction. However, according to another census study, one conducted over five years from 2011 to 2015, Milwaukee County attracted 37,325 domestic movers in that five-year span of time. That same study also gives us a pretty good idea of where all those people are coming from. The majority, 55 percent, is moving in from other parts of Wisconsin, while the rest, 45 percent, is moving from other places in the U.S.
Story originally published by SpareFoot Moving Guides. Interesting. I was wondering where all these people are coming from. Now I know who’s buying all of those condos that keep going up all over the place like weeds. Now tell us where all of these people are finding employment. @Jerry I’d just point out that there hasn’t been a significant new condo development built in Milwaukee in a decade. What has been going up are apartments. @Jerry – regarding your question about employment, it’s a good bet that many of the former Illinois residents are actually just keeping their jobs in Illinois. Anecdotally I know that higher-income Illinois workers will buy condos or rent in Milwaukee, declare that as their “permanent” residence to take advantage of certain taxes and fees but they really only live in Milwaukee part-time. With either I-94 or Amtrak it’s also pretty easy for higher-income folks to live in Milwaukee and commute to Illinois 2-3 days a week and then either stay in Chicago for a couple of days or work remotely on sales calls or the like. It’s not a bad situation for Milwaukee. Higher-income types find the marinas, golf courses, restaurants and such less congested than in Illinois as portions of the city are either a part-time bedroom community or a weekend residence for Chicago-oriented residents. Why would an Illinois resident declare their “permanent” residence in WI? The top income tax rate in WI is 54.5% higher than in IL. Thanks for the additional information from those who replied to my post. I’m guessing that those coming from Phoenix and California are Mexican, or that may be the case with the northern suburbs of Chicago too or anywhere else for that matter. It’s good to see people from Waukesha county (known to be city of Milwaukee haters) moving in. Hopefully the influx of outsiders will help curb the inbred ignorance, bigotry and racism of native-born Milwaukeeans. “[I]nbred ignorance, bigotry and racism of native-born Milwaukeeans”? What enlightened place are you from Jerry? @Sam – Minneapolis. I moved here 17 yrs. ago. The narrow-mindedness of Milwaukeeans was shocking to me. Most have never traveled outside the state and have read very few books. @Sam – I was paid $25,000 to move to Mke back then, because apparently anyone with any education was moving away as fast as possible. We are so lucky to have someone with your level of experience grace us with your presence. Considering Minneapolis doesn’t have close to the level of demographic diversity in either racial or economic terms as Milwaukee does, I’d imagine you’d be a little taken aback. @Jerry…. you are such an idiot. @Sam – that’s what was and is still so shocking to me. Mke was more racially diverse than Mpls back then (probably not anymore), so I expected it to be more progressive. It was more like Birmingham, AL in the sixties…very backwards. Everyone I met had married their high school sweet heart and moved to Waukesha to get out of the city. When I asked people how often they go to Chicago the answer was “Never”. These were people who were educated in Mke. I took my $25,000 and used it as a down payment on a house near a major corporation that moves lots of out-of-state and foreign employees to the area to do a 2-4 year rotation. Interaction with these people from other places, made Mke tolerable. It’s nice to see that Mke has made some significant changes over the last 17 yrs. making it a more attractive place to live and work.